Mount Shasta’s Fourth of July fireworks show over Lake Siskiyou has a reputation for ending with a grand finale, and pyrotechnician Tom Haistings said that will continue on Independence Day 2017. “We’re going to let it rip,” Haistings said of the rapid fire string of colorful bursts he and his crew have planned for the event that will conclude a four-day Fourth of July celebration in Mount Shasta. Haistings said the entire show will include some 800 shells, most of them set to explode about 400 to 600 feet above the lake. Between 250 and 300 of those shells will be part of the finale, which is scheduled to last one minute and eight seconds, according to Haistings. And, yes, it is planned to the second. The addition of music turns the show into a “sky concert,” according to Haistings. Whether you listen to the music or not, Haistings said everyone will benefit from the decision to do a sky concert in Mount Shasta because it includes a better selection of shells with a variety of looks, including themes throughout the show. Of course, fundraising for the annual Mount Shasta show has always been a challenge. 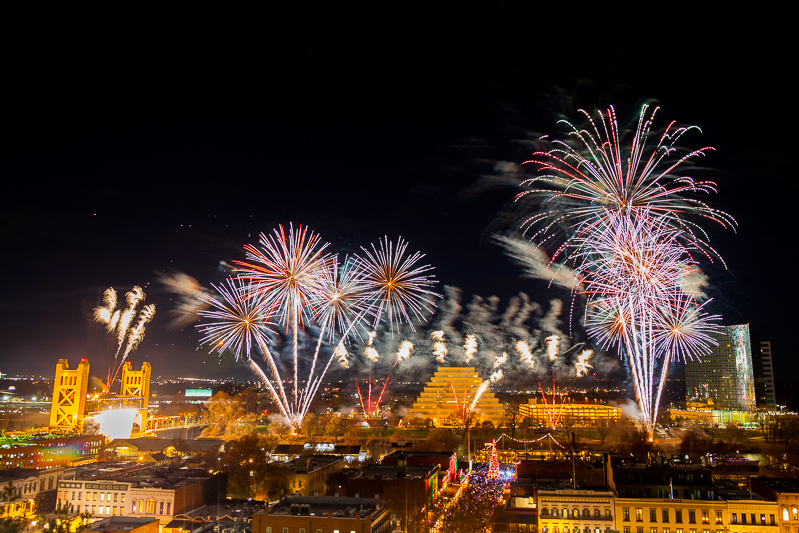 Haistings said the cost for the fireworks alone this year is about $23,000, and the cost for the entire production is about $28,000. But the fireworks show is part of a Fourth of July draw that helps bring thousands of people to town, filling campgrounds and motels. Haistings and Reece Miller are both licensed pyrotechnic operators in Mount Shasta who also put on other shows throughout the year, including weddings and a show at the Mt. Shasta Ski Park. They’re scheduled to do a show the week before July 4th in Rocklin, Calif. The training involved, however, is not kid stuff; it’s extensive and ongoing in order for them to stay current, he said. They’re part of a non-profit organization that formed a few years ago just for the Mount Shasta fireworks show. He said they have a six-person Mount Shasta Community Fireworks Committee that spends hundreds of hours brainstorming and planning. As many as 50 people are involved in the production, according to Haistings. Crystal Geyser is again the title sponsor for this year’s show, and many other businesses are big supporters: Corporate sponsors are Mount Shasta Resort, Solano’s Alpine Hardware, Reynolds Resorts, Ray-Mac, Inc., Ramshaw’s ACE Hardware, PacifiCorp, Grocery Outlet Bargain Market, A Cut Above Tree Service, Inc., and Pepsi Cola. Major sponsors are Cross Petroleum, Anderson’s Fine Jewelry, Mountain Runners, Mt. Shasta Supermarket, Scott Valley Bank, Berryvale Grocery, Jon Thomas Fine Jewelry, Mountain Counties Supply Co., Mike Quinn and Tom Driscoll. Solano’s and Ramshaw’s have both been rounding up at their registers and contributing those funds to the fireworks show, Haistings said. 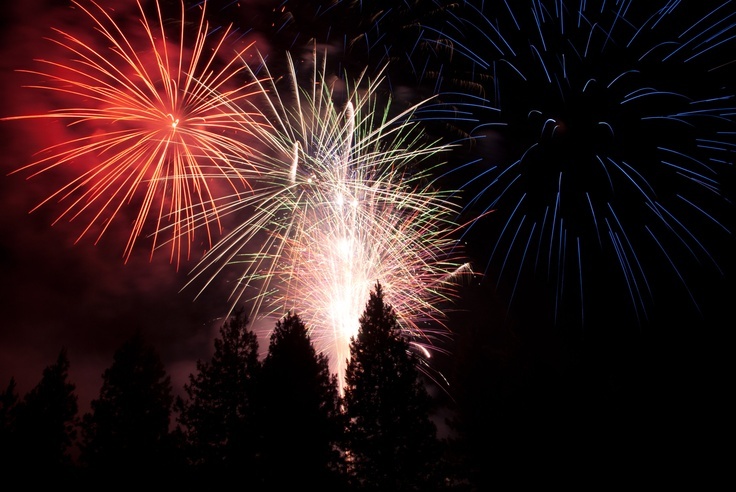 Mount Shasta Resort holds its Customer Appreciation Day on July 4 and stays open for fireworks spectators. They charge $2 per person which goes to the fireworks committee. Lake Siskiyou Campground is another popular viewing area, although Haistings said it’s very important for those who go out on the lake in boats to stay in designated areas during the fireworks show. “Boaters are my biggest worry,” he said, because of the potential for hot embers to come down on the lake during the show. The North Shore road will be closed all day on the Fourth, and Haistings said he and his crew wouldn’t be able to do the show without the assistance of the Sheriff’s Office, CHP, CAL FIRE, Mount Shasta Ambulance and Mount Shasta Fire.